The Club Penguin Island team have uploaded a video on the blog containing details on igloos, which can be viewed here! In this post, I’ll be showing a bit more detail to the rather fast paced video published! As we can see above, furniture will be quite similar to the Clothing Customiser. You will be able to rotate it and enlargen it before placing it, and the angle of the igloo will change as you decorate it. You will be able to have three igloo layouts, and I believe that they can vary in size. There won’t be a basement for these igloos but there will be a roof, domed like the ones we see in Island Central! Let’s start with some furniture. The first thing to note are all the tabs. There will be a catalog, which is probably going to be like the clothing catalog, suggesting we will be able to edit furniture. Along with buildings and furniture, there’s also effects, which sounds cool! The bottom tabs say “Furniture, Decoration, Landscaping, Terrain and Interactions”, which all seem to contain different items to use in our igloo. These are some furniture items. And here are some Decorations. These actually look really cool, we can see a well, a fountain (yay! ), a really hi-tech computer screen and much more! The “Landscaping”, “Terrain” and “Interaction” sections have still not been revealed, but so far, this section is my favourite. It also appears that igloos can have both an indoor and an outdoor area, as well as different rooms. This was one of the examples of an igloo shared inside the video! To conclude this post, I’d like to just give some context with this concept art that was published in March earlier this year for igloos. I must admit that this does just seem more active and exciting than the images today, but I’m really liking the possibilities, especially with the outdoor area. I just hope that the interactive items are as exciting too! 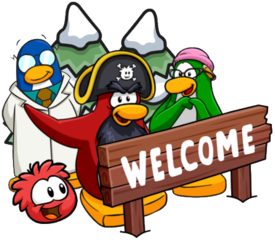 However, there’s also a lot more plans for igloos in the future, including the ability to own a functioning store! The store is the layout for the building so it's roleplaying for now, but functionality for making your own store is planned. Igloos will be released in the next update and everyone will get one as well as furniture, which is great! 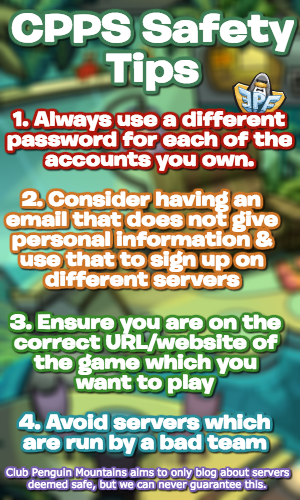 Thank you very much for reading, be sure to check back for more of the latest news and guides! It kinda looks like Toontown’s Estate decoration system. I like it. Forget the igloos. Have you seen their new header on Twitter?! There’s a little yellow penguin in the background. What if that’s Franky?! His mom will probably get him a membership when 1.8 releases, so maybe he’ll look different. Sadly my game will not be released any soon, it’s an idea :(. Il have to wait until I’m 13-19 to make one! Cuz il have no P-controls cuz I will be too big for Parental Controls! And il instal unity! GLITCH! https://prnt.sc/h0hwjy And btw you act like if your going to Mt Blizzard then jump on the rocks on the right then jump north and you can walk on the Pizzeria!